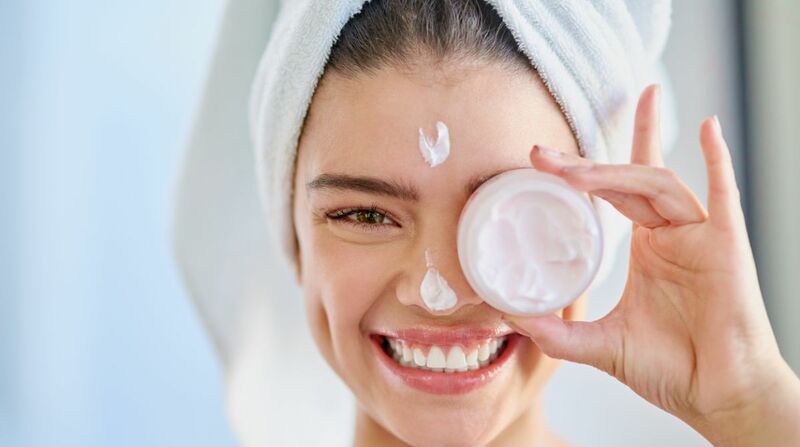 Wholesome milk, papaya, lemon juice, yogurt, oats, honey and many more are, at first glance, all components of a tasty and healthy breakfast – but they also happen to be skin treatment ingredients – all natural ones and affordable. And they are not the only ones. Oils in avocados and water-soluble antioxidant in lemon juice are also very effective and gentler for the skin – alternative to chemical laden products. Establishing a good skin care routine can do miracles for your complexion and gorgeous glow. The first step is to wipe off the overnight product build-up and dirt. Take a moist cotton ball (not dripping), rub it in a circular motion gently on your face starting from your nose to your cheeks and chin and then forehead. This massage will not only slough off any dead skin cells but may also help to get rid of any morning puffy face. This should be done every day before applying any other natural ingredient on your face. Monday – Apply a thick paste of raw wholesome milk and pure sandalwood powder on your face. Leave it for 20 minutes. Wash off with tap water. It is a wonderful formula to enhance fairness naturally. This paste works as an exceptional skin-toner for all the skin types. It adds firmness to worn and torn facial tissues. It nourishes deeper skin layers and moisturizes them from inside. This paste deeply cleanses the pores of excess oil, sebum, dirt and even blackheads. 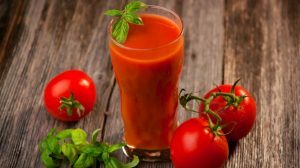 Tuesday – Mix tomato juice and cucumber juice in equal quantities and apply on your face. Let it rest for 15 minutes. Rinse off with tap water. Your tanned skin will get lightened. This mask may kill the bacteria which enable the spread of acne and pimples. It hydrates the skin and retains its natural moisture. It also helps to reduce skin-pigmentation making skin tone even and fair. The mixture of both is an excellent cooler and adds a glow to the face by rejuvenating the skin and reducing tanning and treating blemishes. Wednesday – Lemon juice and organic honey together make a superb solution for facial skin. Mix both in equal quantities and apply on face. Let it rest for 15 minutes. Wash off with warm water and then cold water. This solution will not just lighten up your skin tone but will also help keep the skin supple and glowing. If it is applied regularly, it may promote the health and vibrancy of your skin. It contains anti-inflammatory and antibacterial properties which penetrate deeply into the skin to absorb impurities from the pores. It keeps the skin fresh, smooth and wrinkle-free. Also, it helps get rid of acne, sunburn and other blemishes. Thursday – Blend or mash up a piece of soft ripe papaya into a lump-free puree. Apply it onto your clean face. Let it dry for 15 minutes. Wash off with tap water. This pack removes dullness and dryness of the skin hydrating it from deep inside. It increases the collagen production to make it soft, firm and supple. It also gently removes the dead skin cells and makes your skin radiant and younger looking. It also cleans the dirt and oil that can lead to acne and breakouts. 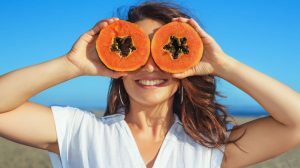 Papaya pulp is also good to even the skin tone by reducing dark spots, blemishes, and sunburns. Friday – Blended watermelon after deseeding it is very effective to moisturize the skin. Being rich in antioxidants, it is a natural toner and prevents ageing. It helps make your skin glowing and shiny. Apply the pulp on your face and let it dry for 15 minutes. Wash off with cold water. Saturday – Take one-fourth ripe avocado and mash it up in a bowl until it turns lump-free. Mix two teaspoons of fresh yogurt. Apply the mask on your face and rinse off with warm water after 15 minutes. 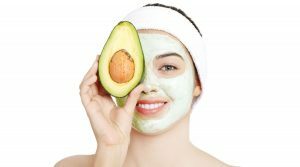 Avocado is particularly potent when used topically because the healthy ingredients like potassium, folic acid, biotin, calcium and vitamins B5, B6, C, K, E and A can directly benefit your skin. It has the natural wrinkle-fighting agents. When mixed with yogurt, it moisturizes the skin and promotes collagen production in the deeper layers. Increased collagen naturally strengthens your skin and promotes elasticity. This pack restores pH balance and tightens pores for a smooth flawless skin. Sunday – Blend three tablespoons of oats in a food processor and mix it with two tablespoons of glycerine. 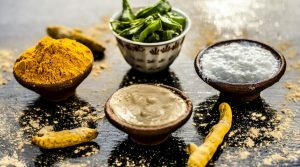 This is one of the natural face masks that will also act as a facial scrub. This scrub is a great ally to rejuvenate tissues and have a radiant complexion. It has antiseptic properties to combat dermatitis or eczema. You may add rose water in this scrub to benefit more. Great for toning the dermis and soothing the skin. Pamper your skin with these natural ingredients because of the essential minerals they are composed of.